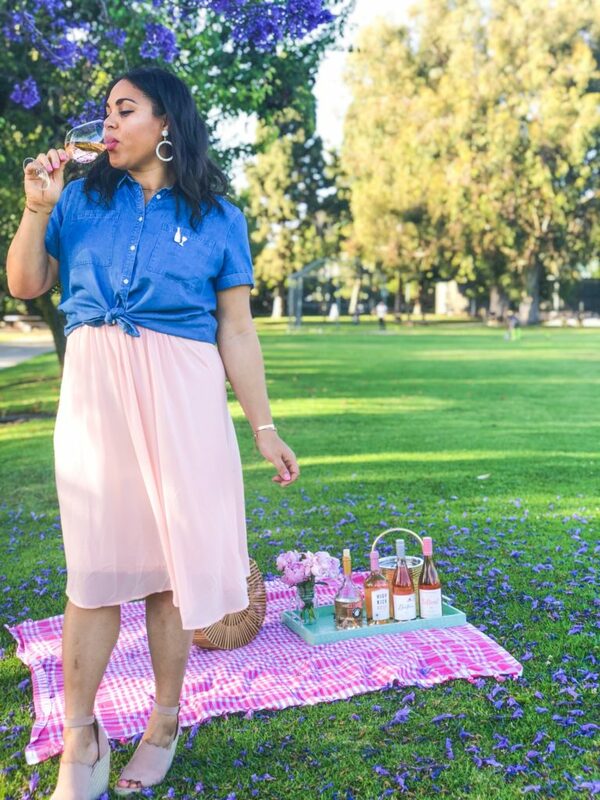 Last weekend was National Rosé Day and the one year anniversary of Rosé & Chambray! 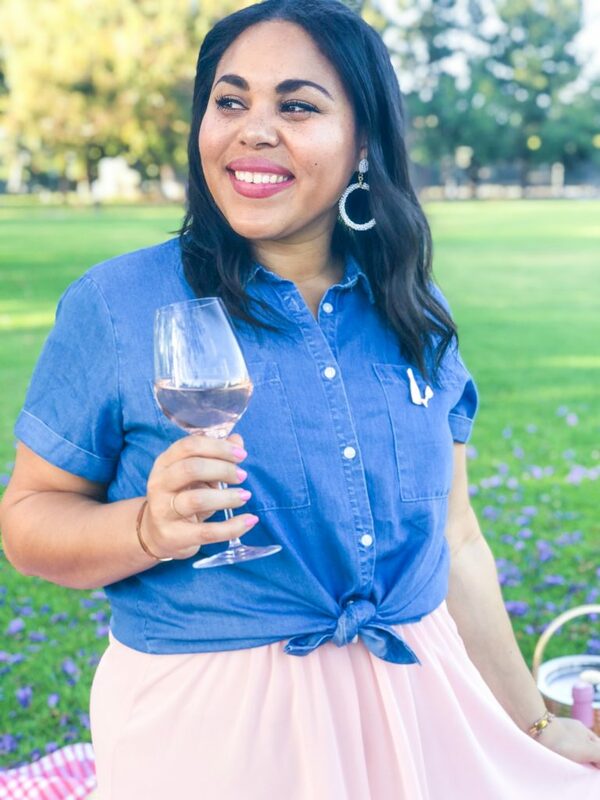 One of the most frequently asked questions I’ve received since starting this blog is “what is your favorite rosé to drink?”. Today, I’m finally answering this question! Rosé wines are beautiful pink wines made from a variety of red grape varietals (most popularly, Grenache) that can range from super sweet to bone dry (read more about how rosé wine is made here). 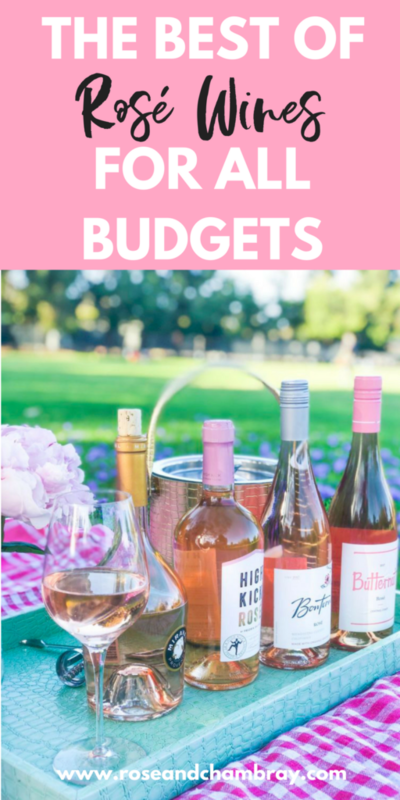 With options ranging from $8 to $50, there’s a fabulous wine out there for you no matter your budget. 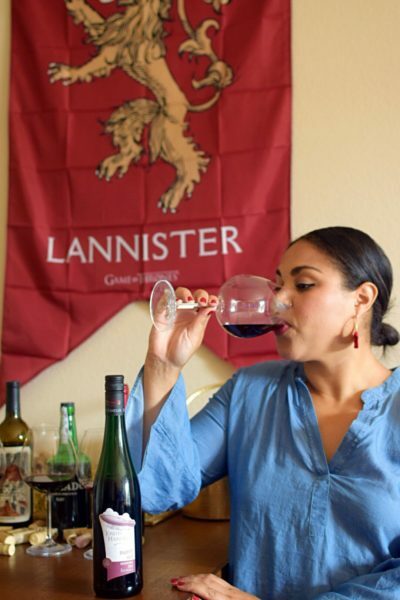 The list will contain wine’s I’ve tasted myself, as well as reader and expert recommendations + wines I really want to try! I’ll make sure to let you know which are my personal thoughts. This post will be updated as I continue to explore the wild world of rosé wines. 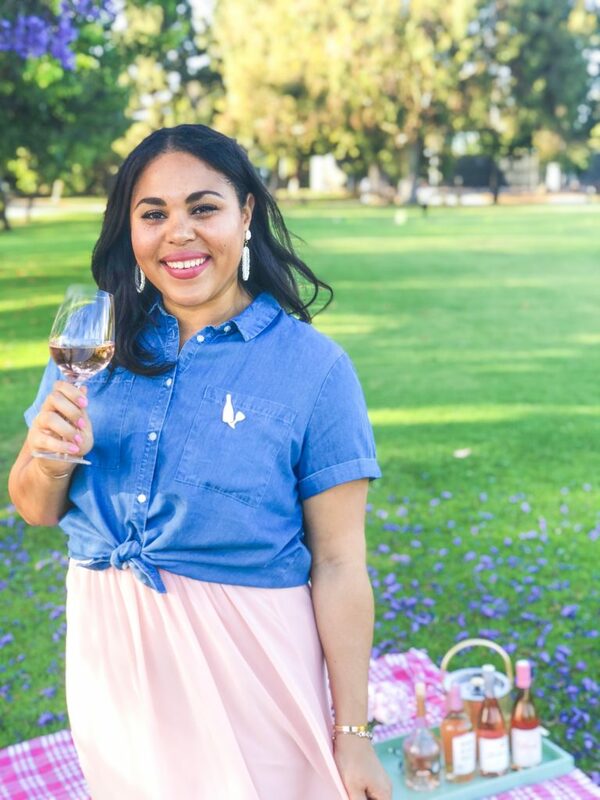 Keep scrolling to find out my recommendations on the best rosés to drink! Dark Horse Rosé, $7.49: This dry wine is an easy drinker with notes of strawberry, raspberry and flowers (very bright and crisp, indeed). It’d pair perfectly with a fresh salad, cheese pizza, Mediterranean food, or simply on it’s own. Read more here. 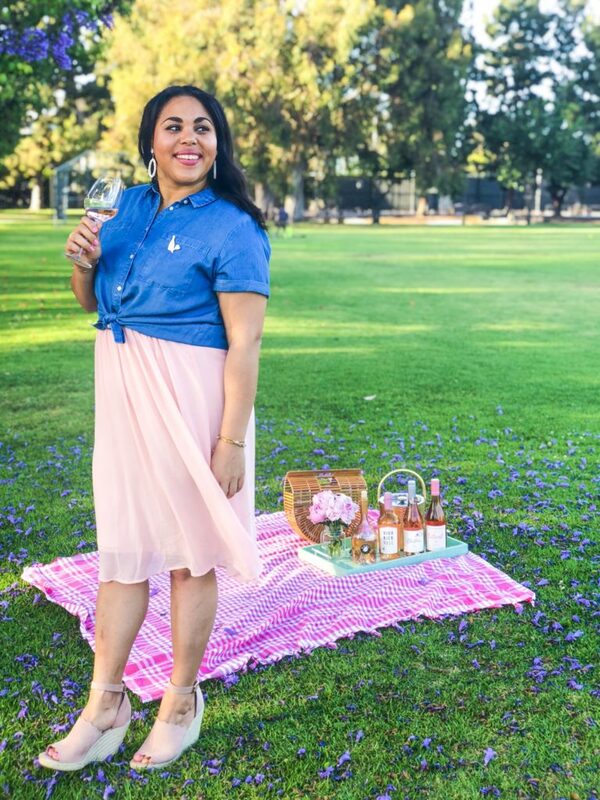 Cupcake Wines Rosé, $9.99: This Cupcake rosé is everything I wanted and then some. It smells like a watermelon Jolly Rancher, white nectarine, freshly cut flowers and ripe, fragrant strawberries. It was super fruity, off-dry (a little sweetness), crisp, bright and easy to drink. Read more here. Charles & Charles Rosé, $10: This dependable rosé is affordable and perfectly crisp. A great, fruity wine that pairs well with all of your summer BBQ’s and salads! Read more and purchase here. 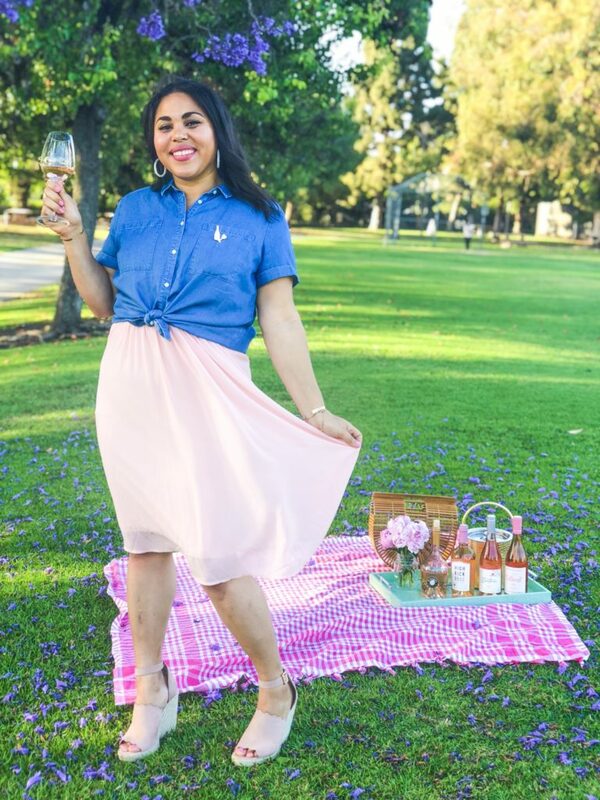 Josh Cellars Rosé, $10-$12: This dry rosé is an affordable option that never disappoints. With notes of ripe strawberries, white peaches and bright citrus, you can’t go wrong. Read more and purchase here. Bontera Rosé, $12-$15: This is currently my favorite rosé, and I look forward to it’s release every year! This organic wine has aromas of strawberry, key lime, rosewater and hints of pineapple. The pallet has notes of ripe peaches, watermelon and pomegranate. It’s off dry and just so good! Read more and purchase here. Sables d’Azur Rose, $14: I haven’t had this one in a while, but I remember really liking it. Easy to drink, fruity and crisp. Plus, it’s a great value! Read more and purchase here. Butternut Rosé, $15: Grapefruit, strawberries and florals make this wine utterly delicious and perfectly crisp. My friends over at Butternut Wines were kind enough to send me this wine to try out, and I really did love it! Great option for those who love a more acidic rosé. Read more and purchase here. Kim Crawford Rosé, $15: The rosé was really good, with hints of strawberry, raspberry and melon! It was off-dry (a little sweet), light, crisp and super fruity. It is the perfect party wine, and would be great to bring to a bbq once the temps start to warm up. Definitely recommend this one! Read my full review here. 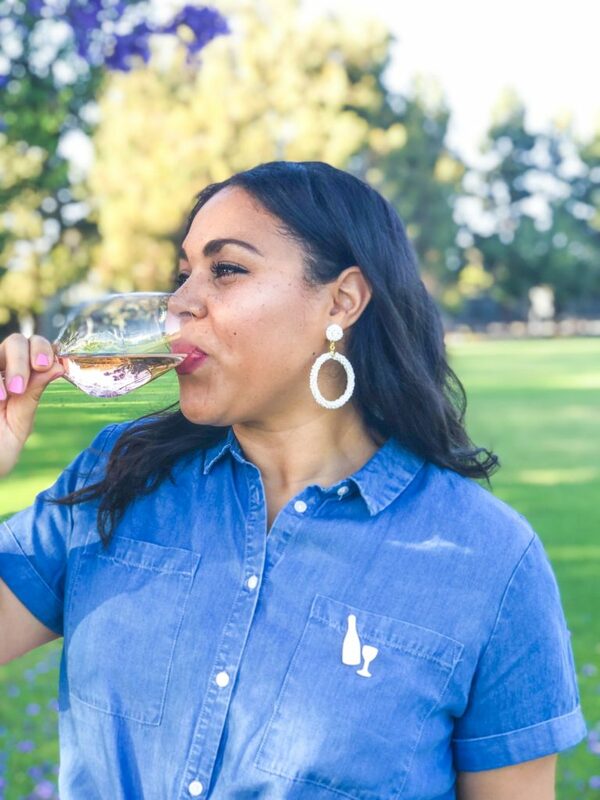 Summer Water, $15-$18: Summer Water is a Grenache and Syrah blend that is super easy to drink and is the perfect summer treat. 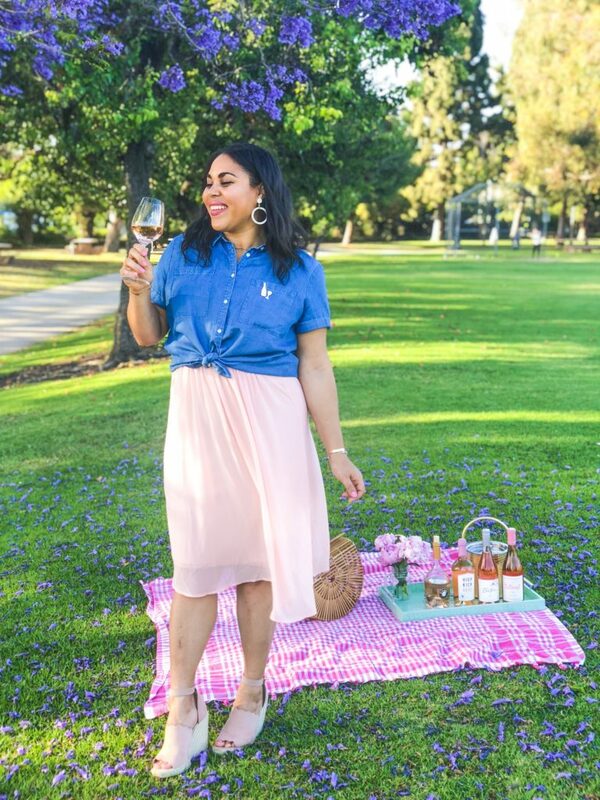 This light, crisp and dry wine is bursting with flavors of Strawberry, limes, flowers and pink grapefruit. Read my full review here and learn about how rosé is made here. Mumm Napa Brut Rosé, $15-$20: A great bubbly option with notes of black cherry and strawberry. This feels like a really indulgent treat, and I love that you can get it for under $20! Read more and purchase here. 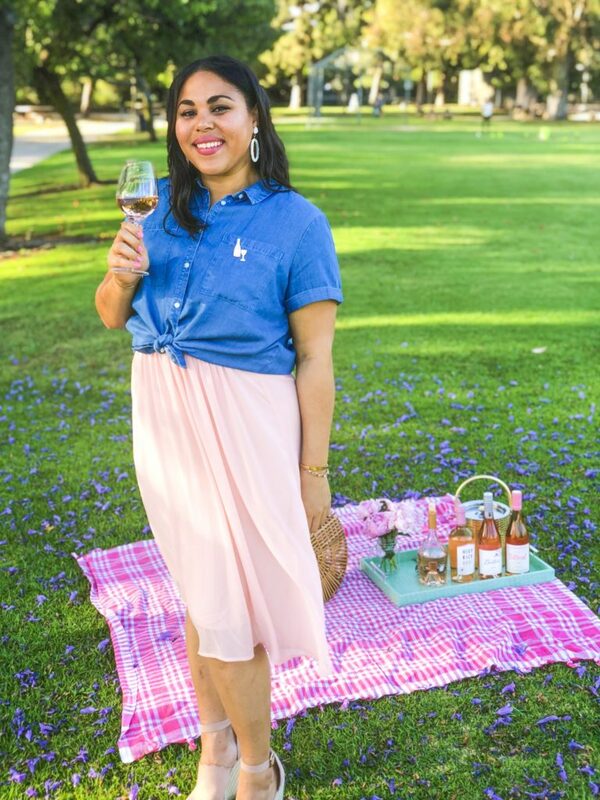 Maison Saint AIX Rosé, $15- $20: A Whole Food’s classic, this dry rosé always hits the spot! This balanced wine is full of strawberries and raspberries, and has a perfect crisp, clean finish. Read more and purchase here. 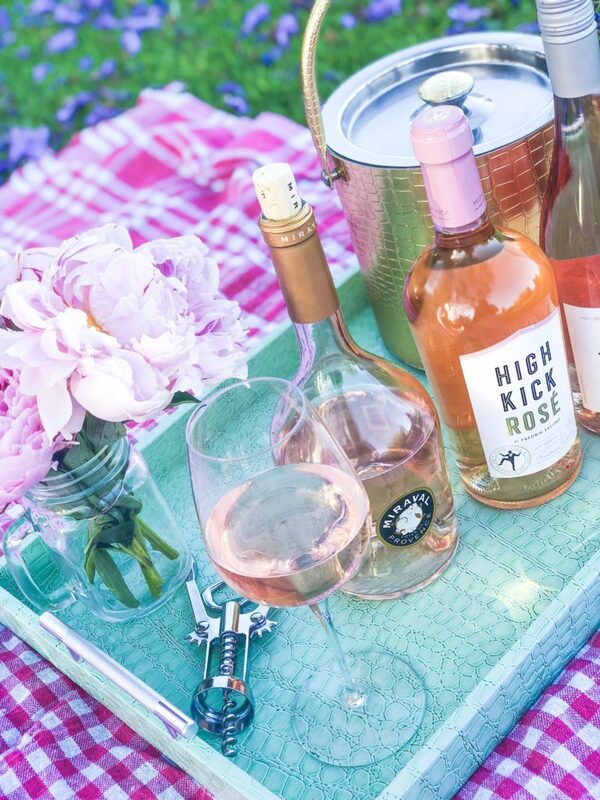 High Kick Rosé, $18: The High Kick rosé is made 100% from Merlot and tasted like a bottle of sunshine. Notes of ripe strawberries, delicate flowers, herbs and citrus blessed my glass and my mouth rejoiced in happiness. It was perfectly balanced with great acidity and a tiny bit of sweetness. Read my full review here. The Whispering Angel, $20: This beautifully pink, off-dry (some sweetness) Cotes de Provence rosé is perfect to drink year round! It’s well balanced with notes of juicy strawberries and red fruit. This is a good option for when you’re looking to treat yo’self. Read more and purchase here. 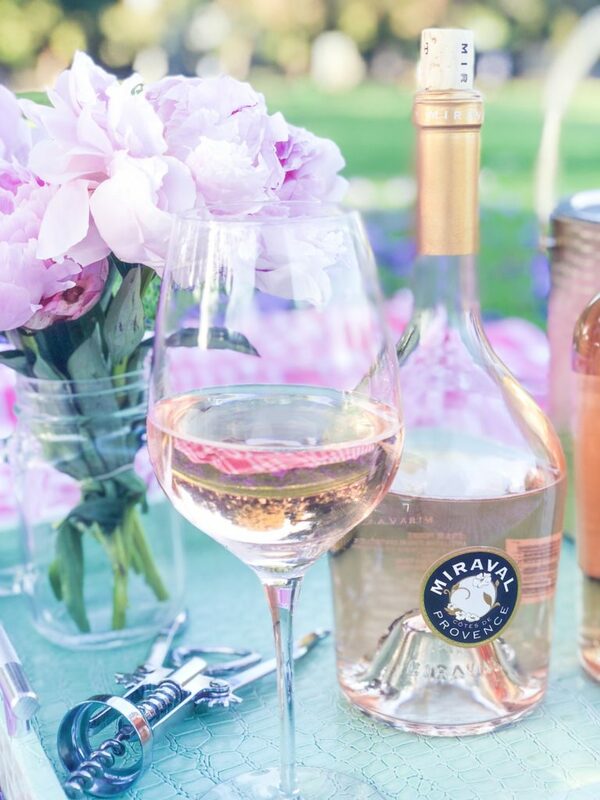 Miraval, $20-$25: This Provencal style rosé is produced by Angelina Jolie and Brad Pitt, and really does live up to the hype. 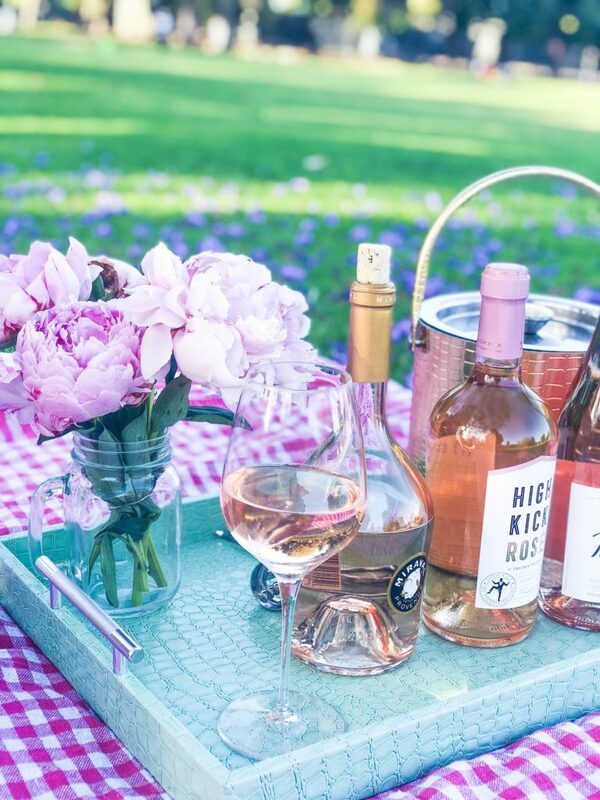 The refreshing pretty pink wine is bursting with flavors of fresh fruit and spring flowers, balanced acidity, and has notes of minerality and a saline finish, Read more and purchase here. 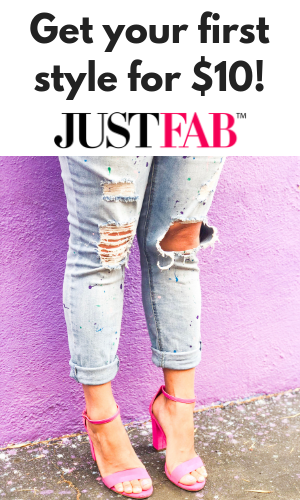 Keep scrolling to see my Reader, Expert + “Need to Try” Picks! The tastings notes below are not my own. Once I finally try these picks, I will move them to the “my picks” section and update with my own experience and notes! 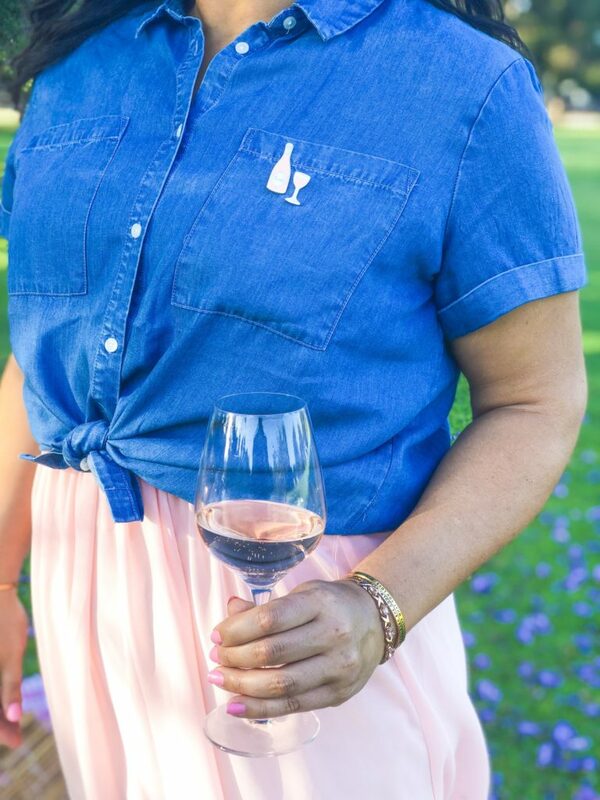 Yes Way Rosé, $12: “Made in the south of France from classic Mediterranean grapes, Yes Way Rosé is an elegant Provençal-style blend with tasting notes revealing a bouquet of strawberry, citrus, and white peach. 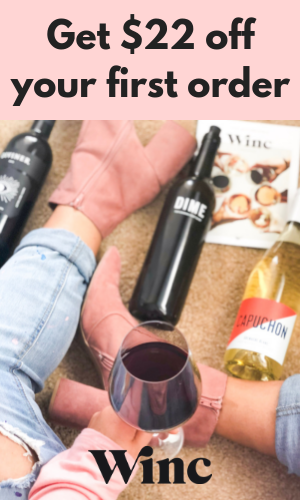 Dry and refreshingly drinkable, this light peachy-pink wine is a perfect match for a variety of different flavors.” Read more and purchase here. Bardolino Rosé by La Fraghe, $12-$15: “Cherry red with rich purple highlights, Rodòn boasts a complex mosaic of well-defined, very fragrant aromas. Seductive notes of wild rose are the first to emerge, followed by nuances of wild strawberry and redcurrant that linger and complete an elegant bouquet. The palate displays an emphatic crispness and full body, the happy result of a perfect balance between ultra-savory flavors and a tasty minerality, characteristics that are classic to this terroir, and excellent supporting tannins and acidity.” Read more and purchase here. Gerard Bertrand Cotes de Rosé, $12- $15: “A soft, pale, brilliant pink with bluish tints developing over time towards more orangey nuances. The bouquet releases aromas of summer fruits, cassis and redcurrant. Floral notes of rose along with hints of grapefruit complete the picture. The finish is fresh, offering notes of candy. On the palate the impression is fresh and full, with great aromatic persistence and balance.” Read more and purchase here. Finca by Wolfer Estate, $17: “An elegant and vibrant wine with beautiful aromas of citrus, ripe berry, peach and a hint of sundried grass, like the air in the Argentinian countryside.” Read more and purchase here. 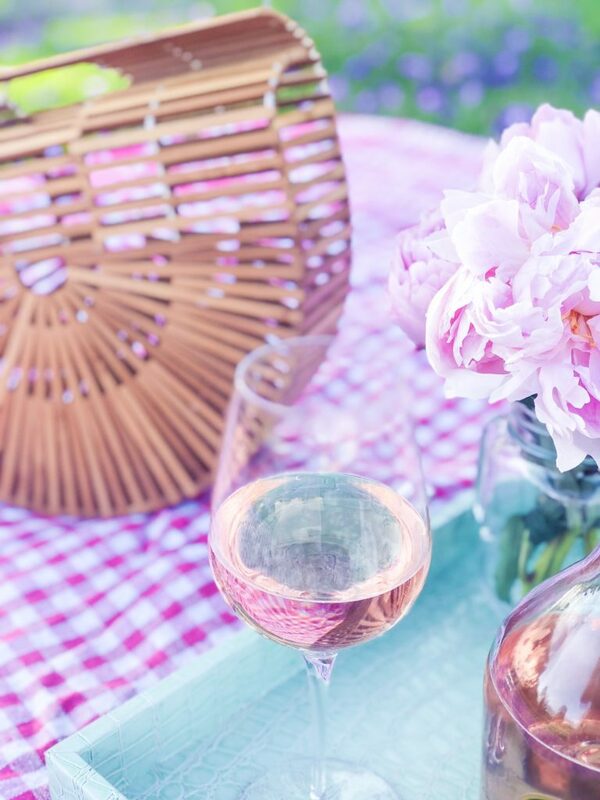 Mirabeau Pure Rosé, $17: “An ethereal pale pink color with silver reflections, this wine has the allure of a pure summer breeze. A complex rosé, with a pronounced mineral structure it’s characterized by elegant notes of wild strawberry, citrus, white flowers and a hint of lychee. Mirabeau Pure is refreshing and refined with a lingering, beautiful finish that will prolong the aromatic pleasures.” Read more and purchase here. 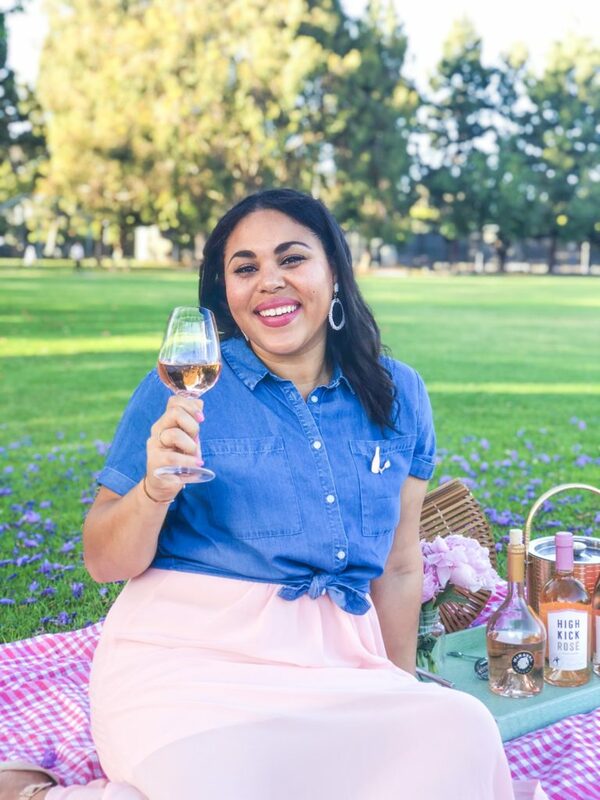 ONEHOPE Côtes de Provence Reserve Rosé, $30: “This Provence rosé expresses the warm growing days with sun ripened melon, dried rose and juniper. The palate is full and quenching with weight and texture finishing silky and dry.” Each bottle sold helps educate women about ovarian cancer. Read more and purchase here. 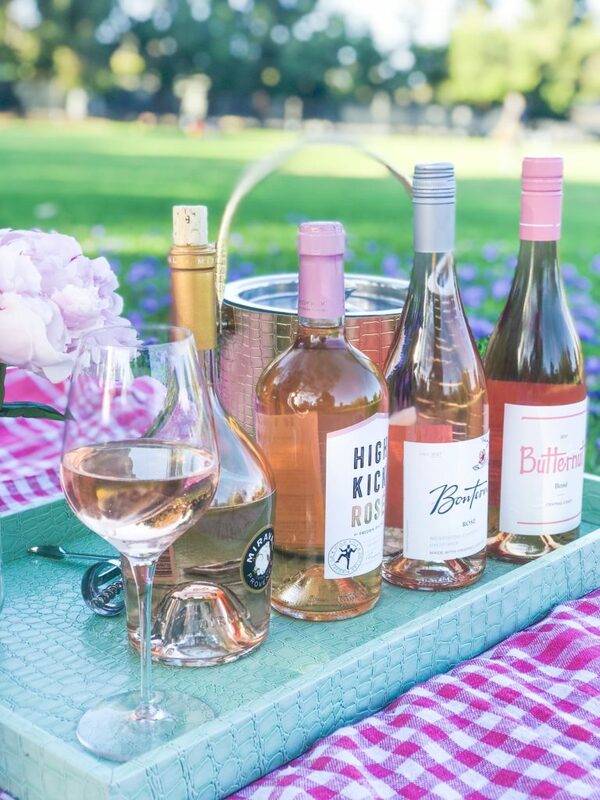 Flowers Winery Rosé, $35: “This Rosé is elegant and distinct, with aromas of rose petals and subtle hints of strawberry and grapefruit. Bursts of fresh orange and lemon zest colorfully drive the palate and are delicately balanced with flavors of orange marmalade.” Read more and purchase here. 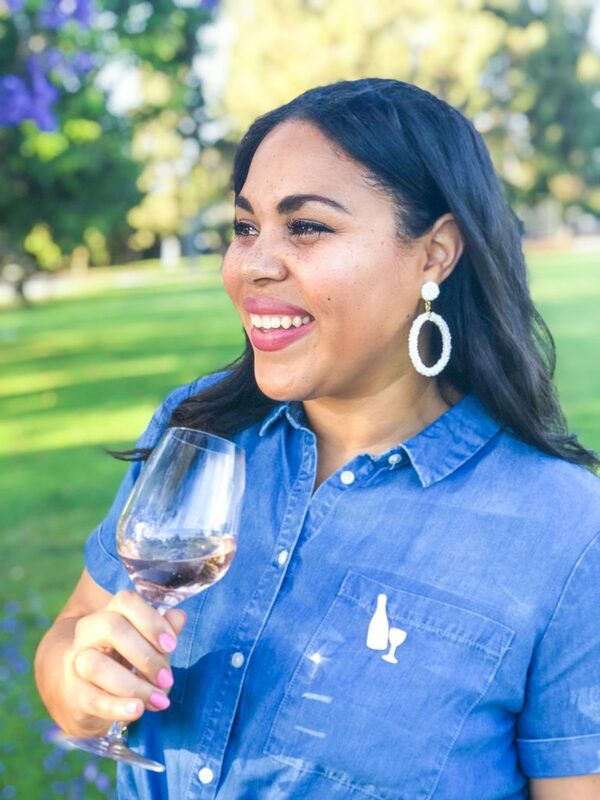 Domain Carneros Sparkling Rosé, $40: “A blend of 58% Pinot Noir, 42% Chardonnay, the Brut Rosé is meant to be enjoyed at a fairly young age, when the fruity character is still predominant yet there is enough age to make the wine round and balanced. The wine’s aroma has hints of wild strawberries and roses with notes of peach Although a pale pink in color, Brut Rosé is not sweeter than our other wines. It is a true Brut.” Read more and purchase here. Veuve Cliquot Rich Rosé, $65-$70: “In Veuve Clicquot Rich Rose, the red fruit is boosted to an exciting new level. The signature Pinot Noir of Veuve Cliquot is given a new versatility with a higher dosage (60g/l sugar). Intense red berry fruit notes originate from the blending of Pinot noir red wine, while the presence of Meunier emphasizes fresh and gourmand notes. They are balanced with the creamy finish common to all expressions of Veuve Clicquot. This is the first champagne inspired by mixology and is best enjoyed over ice with fresh ingredients, including lime and ginger.” Read more and purchase here. Starting this blog has been such an amazing experience, and I’m so thankful that you have chosen to follow along and read my posts! I hope we can explore lots more rosés together in the future. What’s your favorite rosé? What rosé do I need to add to my “need to try” list? Please comment below with your recommendations! Thanks so much for reading and sharing. I love this post! I wish we had those brands in Canada. Rose is such a great treat when I’m in the mood for something a little different. I’ll have to try some of these. The bottles alone are beautiful. I recently tried Roscato Rose. It’s an Italian wine and it’s delicious.